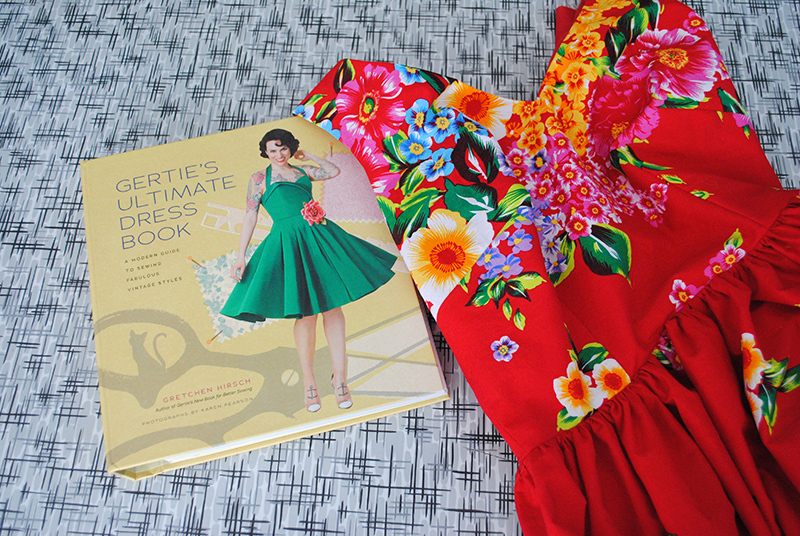 Earlier this year, I was lucky enough to get an advance copy of Gertie’s Ultimate Dress Book to review on my blog, along with a giveaway at the end of this post! This is Gretchen Hirsch’s third book, which was just released last week. 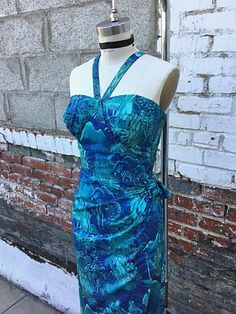 You may also be familiar with the “Gertie” name from her blog, her line of patterns with Butterick, or fabric with JoAnn Fabric (man, sooo many cute prints in her spring line). Anyway, the publisher sent me a copy to review, and I really don’t say yes to too many reviews (although I’ll have another one soonish! ), but a retro-themed dressmaking book? Obviously, I was in! 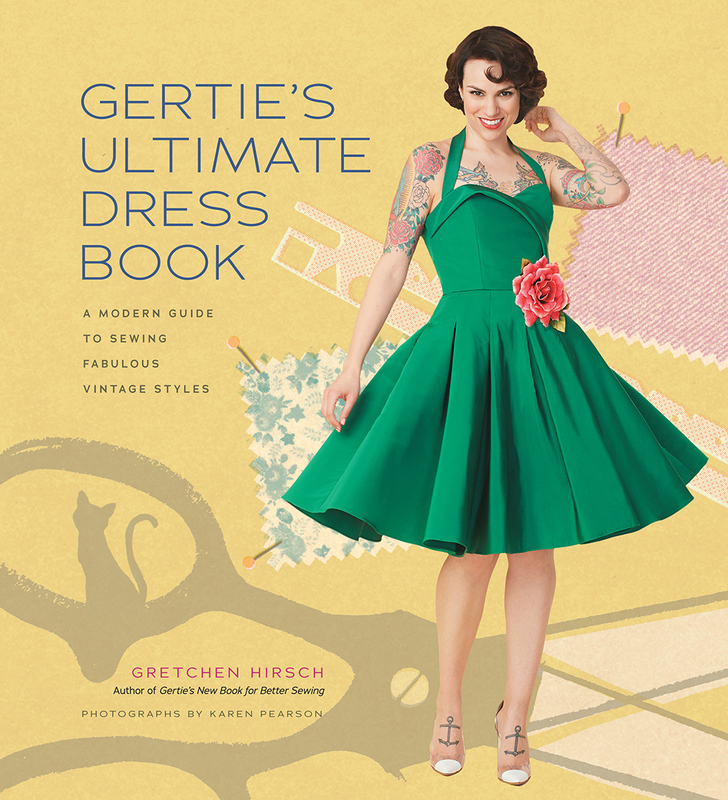 Gertie’s Ultimate Dress Book is a gorgeous book. And you get a lot of bang for your buck—it’s a little over $20 USD on Amazon, and for that price you get about 120 pages of sewing basics, techniques and fittings tips, along with another hundred pages of mix and match sewing patterns. 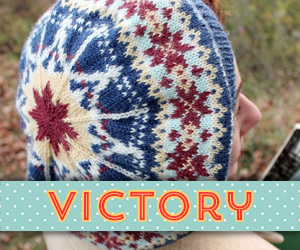 That’s all for the price of about one indie sewing pattern, or a few Big 4 patterns on sale. Even if you ended up only learning a couple new-to-you techniques and liked one or two patterns in the book, I think you’re still well ahead of the game! As you can see, each chapter is dedicated to a particular area—Getting Ready to Sew, Basic Dress Construction, Finishing Details, Giving the Dress Structure, Techniques for Special Fabrics, and Fitting. These are the areas that make up the first part of the book, all about dressmaking. 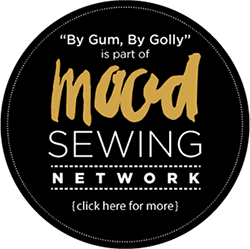 Getting Ready to Sew is geared towards more beginner sewers, covering things like different types of fabrics, good things to have in your basic sewing kit, fabric care, correcting fabric grain, pressing, and seam finishes. I admit I glossed over most of this chapter, but if you’re newer to sewing, there’s some good stuff in here. And then the book gets meatier from there. I feel like my dressmaking skills are somewhat advanced at this point, but I love learning new techniques and there were definitely things that were new to me in the book! And the Finishing Details and Giving the Dress Structure sections are great if you’re stepping up your dress. I tend to mainly enjoy sewing relatively “simple” cotton day dresses (obviously not always, with my strapless, boned Shaheen-inspired sarong dress last summer), but if a taffeta party dress is in your future, or a shantung sarong, or lace overlay, or a structured skirt with horsehair braid in the hem, or a boned bodice, sewing your own crinoline (I really need to do this! ), accentuating sheer fabrics, dealing with slippery fabrics, built in bra cups… then there’s lots of helpful stuff in these chapters for you. I haven’t even come close to making my way fully through this part of the book yet! And last but not least, there’s a chapter on fitting, too, covering adding and removing length, shoulder sloping, gaping necklines, moving darts, sleeve cap ease, sleeve circumference ease, plus lots more fitting issues you may encounter and need to fuss with in your dressmaking adventures. There aren’t lengthen and shorten lines on the patterns, but this section covers making such alterations yourself, don’t worry. 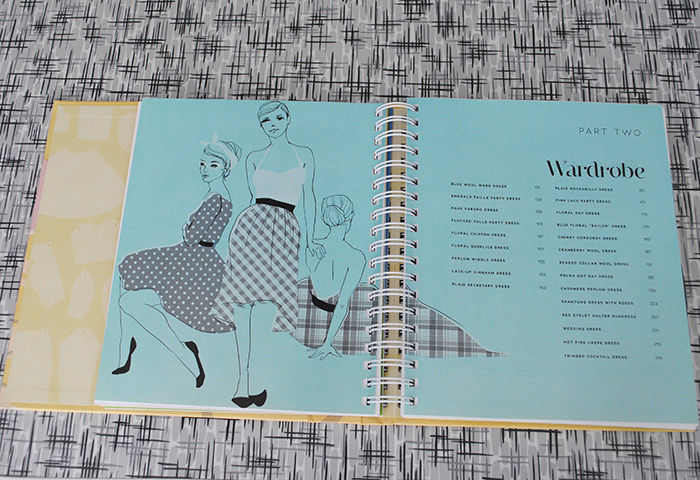 The second part of the book is the actual sewing patterns, called Wardrobe. To me, this idea is so smart, because it’s the same way I think about sewing. I’m always looking at the bodice of one dress, and the skirt from another, and deciding what new combinations I can come up with. Yes, you can do that with any patterns, obviously. But a book based on that very concept is a great idea, and I love when resources try to get you to think outside the box a little. Princess seam bodice with a side pleated skirt, boat neck with a 3/4 circle skirt, v-neck with a box pleat circle skirt, sarong skirt with strapless bodice, surplice bodice with an a-line skirt… swap out anything I just said and put it in a different combination and you get the idea. So the book has 23 dresses featured, but you don’t have to sew any of them as-is if you don’t want to. It just gives you inspiration on how to put things together yourself! The pattern pieces come on heavy paper in an envelope in the back of the book, and they’re nested and a few of the larger skirt pieces overlap, so you’ll need to trace off the patterns. How is it to follow one of the patterns in the book? Well, I’ve done it, so I can tell you! It can be a tiny bit disjointed because it’s a book, and not a dedicated sewing pattern per se. So I found I ended up jumping back and forth a little bit between chapters for a few small things. For brevity since there are so many pattern combos in the book, the patterns themselves will say things like “Insert a center back lapped zipper” for basics, so unless you know exactly how you intend to do this (note: I usually do, but wanted to try a new way), you’ll then need to skip back to the section on zippers. But from what I’ve seen, most sewing pattern books with many patterns are like this, because, well, frankly you’ve got to get all the basics in there somehow without repeating it 20 times! Books do have to be limited somehow. Where it might be a bit annoying if you need to have precise instructions for every single basic step, it’s actually quite handy when you don’t. But for anything specific to a particular pattern (positioning scalloped lace for the Pink Lace Party Dress, cutting the visible bias facing for the Plaid Rockabilly Dress, adding an organdy crinoline ruffle for the Blue Floral Sailor Dress), there’s plenty of details. And then you can just apply that to your own project, if you’re going to mix and match. How’s the sizing? Pretty much bang on. I sewed a dress using the v-neck bodice (used in the Plaid Rockabilly Dress, in the Wardrobe section), but since I was using a border print and needed to cut the fabric out cross grain anyway, I just gathered a reallllly big rectangle for the skirt (100″) to eat up as much as possible. According to the size chart in the book, I’m a size 4 in the bust and waist and a 2 in the hips, and cut a size 4 (since hips were irrelevant for the style). True to most 1950s-inspired dresses, there’s not much wearing ease (even less since I cut cross grain), so if you prefer more ease, definitely consider sizing up or giving yourself a bit more room in the side seams. But I appreciate there’s not a ton of wearing ease built in from the get go, as it’s confusing when you have to sew a size that’s different from what you think you need to be sewing. Soooo want a sneaky peek of my dress now?? I’ll give you all the guts n’ glory later in the week, but here’s a first look! I only did a couple of very minor alterations to the bodice, and was pleased as punch with how the muslin fit nearly right from the envelope. The v-neck bodice gets a thumbs up from me, and I’m excited to try the others, too. Now, enough of my yammering on in this review! Here’s the fun part for you: the giveaway! The book publishers have set aside a copy of Gertie’s Ultimate Dress Book and a fabric bundle from Fabric Traditions, the company that makes Gertie’s own fabric line for JoAnn Fabrics. 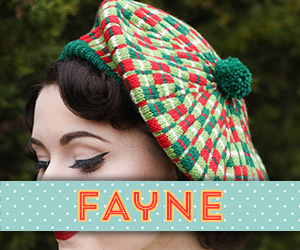 One lucky winner will get a copy of the book and the fabric bundle from Gertie’s fabric line. Pretty sweet! But they’re delivering, so I’m sorry to say that this giveaway is limited to the US and Canada, sorry international friends! However, the book is now out for release everywhere, so everyone can pick up a copy! Plus there are a few other places to win a copy of the book within the US and Canada, too: Brewer Sewing, Madalynne, A Dress A Day, and Lish Dorset. And if you’re worldwide, don’t worry: Gertie is giving away three copies and fabric bundles, and the UK-based blog for The Fold Line is giving away a copy, too (ending tomorrow so hop to it). Lots of chances to get this book! To win a copy of Gertie’s Ultimate Dress Book and fabric bundle from her line of fabrics with Fabric Traditions, leave a comment on this post by Friday, March 18th at midnight, Central US time. In your comment, tell me what gets you the most excited about this book. Winner will be selected at random and I’ll give your contact info to STC Crafts to send along your goodies. Limited to US and Canada residents, and please include contact information in your comment (if you’re logging in through WordPress, your email should be in there). I received a copy of this book for free in exchange for an honest review, and all opinions expressed are 100% my own as always! I’m most excited by the “choose your own adventure” aspect of this dress. Seems like there would be a perfect combination for any kind of dress you wanted to make! The thought of having a dress that fits and flatters me is an exciting thought. I love the mix and match bodice skirt patterns and I am really excited to learn more fitting and structural techniques! I love the different neckline optIons! I always make dresses with the same square neckline that I figured out doesn’t gape on me, but I would love to branch out and try new neckline styles without having to draft them myself. I have her first book and the tips and techniques are wonderful. The layouts are great. I’m excited to see how the patterns themselves have evolved! Looks cleaner and easier to trace off than before! I love the style and professional details. I absolutely love Gertie and all of her patterns. The book is exactly what I have been looking for, fun easy dresses that embody that vintage style we all love. I especially love being able to customize the sizes since I, like you, are different sizes in different places! I would love to have this book. Thanks for sharing the pictures, it looks like such a fun book just by seeing the illustrations. What a great giveaway! I like thay the the book is appropriate for beginners. I’m BEYOND beginner but would love to supplement my vintage wardrobe with things I’ve made myself! 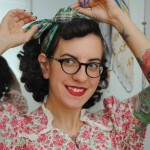 I’ve always wanted to learn to sew and mix/match vintage patterns might finally motivate me! Honestly, I can’t stop looking at that dress on the cover- specifically, the skirt. It’s so full! Plus, those gorgeous pleats! It’s really made me want to make one like it. What gets me most excited is that I already have a (small) collection of old sewing books from different decades and it would be neat to see the differences and similarities with my books from the 30s-70s. Also the patterns to be traced in the back sound like a great idea- I have a 13 year old who is very much getting into sewing and not having to buy/trace/alter a whole extra set every time would be swell! How fun! I really have been wanting to try to make& wear dresses more regularly. I’ve been having trouble finding a pattern that covers exactly what I want. So I’m really excited to be able to mix&match the pieces! Also I just love those illustrations! Takes me back to being a kid & poring over my mom’s sewing books? What gets me most excited would be to learn patternmaking in a new and fun way. These designs look great and your dress looks absolutely fabulous! Your v-neck dress came out fabulously! Perfect for novelty print fabric. I love the mix and match dresses idea of this book! There is usually always something I want to change about a dress pattern so being able to cobble together your own “design” so to speak really interests me. The book looks beautiful with the illustrations and I like that it is spiral bound. Wish more books were that way. Thanks for hosting this giveaway! The thing I’m most excited for from this book is that (I hope) it will motivate me to finally make a solid bodice block that I can draw from in the future. I’m sure that the mix and match nature of the patterns is geared to allow this! Also all those bodice structure techniques… Sounds like fun! What excites me most about this book is that I’m getting back into sewing after a long time and I’ve forgotten so much. And my daughter would like to start on a handmade wardrobe and is looking to me for advice. I love the spiral binding and the retro-looking illustrations! What I like best about the book is that you made something from it that looks great and is a style I would wear. I also like the fact that the book has a spiral binding. Nothing irritates me more than a book that won’t lay flat when I’m trying to use it as a reference book. I love the mix and match patterns! Vintage dresses are so pretty, this book contains great resources for all sewers. I love that the patterns can be mixed and matched to make totally different dresses. Your dress is beautiful! I’m excited about a vintage-themed book that has patterns and a lot of sewing info, everything in one place! You did a great job with the dress! Vintage-style dresses are the reason I got interested in sewing, and I’m still too much of a beginner for Gertie’s other books, so this one sounds like a must-have! This book looks amazing! I have been becoming more and more interested in sewing because I want to make my own dresses! This seems like the perfect book to learn and create! I’m excited by the mix and match approach. Customize EVERYTHING! I love the mix-and-match bodice and skirt patterns! I’m super excited for this new book. Awesome give away! What makes me most excited for the book? Gertie has been showing off her dresses from the book on Instagram, and so far I would steal each one for her! But would kill for the lace overlay ones. So rather than murder I’ll just make one myself! I’m brand new to dress making so I’m really excited to learn from this book. 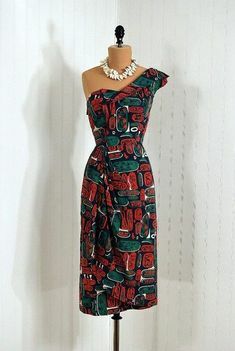 I also love vintage style dresses! I love me a good mix and match (Boundless Style, anyone?) but I’m most excited for the fit alterations. That’s really why I make my own, so it fits perfectly! Where do I even start with what excites me about this book? Is everything a fair statement? Specifically I loved Gertie’s first two books and they hold a place of honor on my shelves. My favorite things specifically though are always her dresses. I am a dress girl in my heart of hearts and if I didn’t live somewhere that got cold I would never wear pants. So the possibility of having pages and pages of mix and match dresses is just absolutely thrilling! Everything I’ve seen from the patterns in the book (including your own creation) are incredible looking. I can’t wait for the opportunity to dive in myself. What a great giveaway! I really do like the mix and match option. So many things to love! I’m super excited to mix and match bodice and skirt patterns – especially once I find a top I love the fit of, it will make the process so much easier to sew dress after dress! I am so excited about this book! I’m new to dress making and one of my major motivations for learning this skill is to be able to create reproductions of vintage dresses. This book looks right up my alley! I don’t think I knew that the tops and skirts were interchangeable! I love that! I have a book with a similar idea, but Gertie’s vintage style is much more in line with mine! I’d love to have this book! I’m most excited about the patterns. Especially the separates! I love the mix & match options. All the great bodice shape choices too, a few new to me in this book. 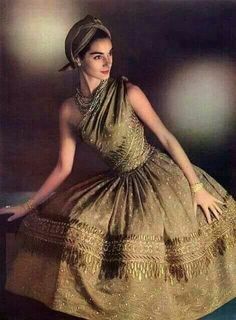 I am a newbie when it come to vintage dresses. I have made a few circle skirts and 1 dress. I am self taught thanks to Tasha and A Vintage Vanity on YouTube. I am so excited about Gertie’s new fabric and her dress patterns. I love all things vintage. I haven’t heard of Gertie but will definitely check out all her books. I am most excited by the mix and match aspect of the dresses in this book. I am always looking at patterns and thinking about how I can adjust or change an aspect based on another pattern. As someone who is fairly new to sewing but already a fan of Gertie’s books, I can’t wait to take a more in depth look at the book! I love the dress you made, it’s stunning! I like the idea of sleeves an collars to fit any bodice, so much easier! I love the mix and match aspect of the pattern pieces! How exciting! I love Gertie’s other books, and am most excited to learn more about improving my finishing work on dresses. So glad she has a new book out on dresses! I love the idea of doing various bodice blocks and then mix and matching or altering style once the block is fit instead of starting from scratch each time. I love Gertie’s books and fabric! I’d consider myself a more advanced sewist, too, but the idea of having a bank of basic dress shapes in a bunch of sizes and the fitting tips are what excite me the most! I’ve worked with her previous two books and like them both. I do like the interchangeability of this book. Lovely dress you made. nice work. 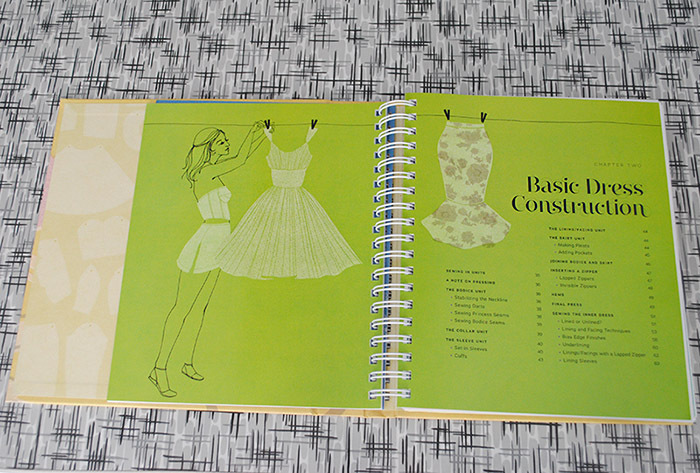 The book has so many neat things: the mix and match options, the fitting section actually in the book, the finishing section and the giving the dress structure section. Can’t wait to see it in person! Thanks for the great giveaway! Besides the concepts of mix and match pattern pieces which is very fun for designing. I’m most excited about the chapter on adding structure to dresses, I love low-back and backless dress, but need the support of a bra so learning how to build one into the dress would be a valuable tool. I’m a beginner when it comes to sewing clothing. I love the idea of a book that will take me through the steps ending with a lovely vintage style reward! Good LORD, girl! That red fabric is fantastic. I am so excited for Gertie’s new book because I really want to delve into dresses with structure and make something amazing. Thanks for the giveaway! I’m a complete beginner, so I love that this book covers everything from start to finish. I’m really excited for this book becuase I want to find a fabulous pattern to make mine for my wedding reception dress (with a beautiful irridescent pop) and my brides maids dresses(hello Christmas tartan!) I want to DIY as much as I can in my life!! I think the structured section is what I look forward to most. She always has the most impeccable insides, and learning how to replicate that would be amazing! Super excited about the mix and match patterns! Thanks for hosting! I really like how you can mix and match all of the patterns for a zillion different combos. I’m excited about the mix-n-match tips/bottoms and being able to make myself new dresses! Your dress is stunning! I love the fact that there is so many incredible dresses all in one place with a wide range of new to me seeing techniques. That is a FANTASTIC dress. I can’t imagine anyone would be gloomy, wearing that. Also, thank you for hosting this giveaway. 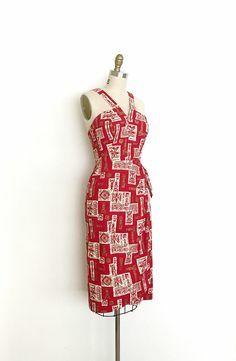 I haven’t sewn any dresses for myself yet… I see so many cute ones in the sewing/vintage fashion blogosphere, but I’ve been too intimidated to try it up to now. Hopefully a book like this could be the push to make it happen! I’m really excited to have a whole book of patterns to mix and match. I’m going into my first year teaching and need tons more modest but cute dresses for the classroom! I think It is great. I love the miss and match concept. This looks like a great book. 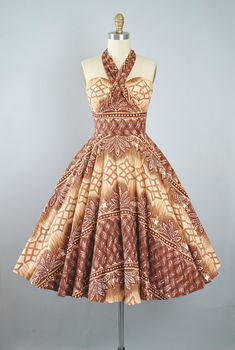 Initially when I saw it, I liked the mix and match aspect, but I think now I’m more curious about the structure and techniques for vintage styles. And your dress looks fabulous! Dresses are my favorite thing to sew. Very excited about a whole book of mix and match dress options. Your dress is so beautiful, and inspiring! 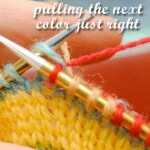 I love following your posts, and your sewing adventures (knitting too). Often I really love what you’ve sewn and all the details about how you went about it. This book looks really interesting. I would be especially interested in the construction techniques, fitting and alteration. I find many “modern” patterns are not as well made, fit in a sloppy way and so, I really enjoy “vintage” sewing. I am looking forward to this book for a variety of reasons, bit the msin things: One) the chapter on fit. I have quite a collection of vintage patterns from the 1940s to the 1970s, and with sizing changes and style changes, I need help with fitting a pattern to my body. Two) mix and match! I’m particular in what necklines I think are flattering for me, so I love the option of choosing a new bodice for a chosen skirt style. And the bonus reason: is release is soooo timely for me! I have been in a sewing slump, I have 3 projects cut out and languishing…. this book has already inspired me to pick myself up after 2 or 3 years and get back in the sewing room, and that’s nothing to shake your scissors at! Can’t wait to put this book to use! I am most excited for the mix and match pieces. 90% of the time I love me a full skirt but I like changing up the bodice for different looks. That means there are so many more options than the 23 dresses it comes with! What a comprehensive book! 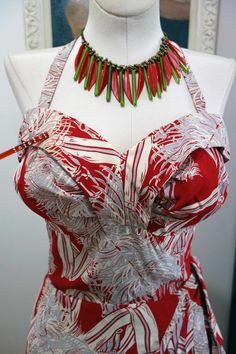 I am most excited about learning how to insert bra cups into a dress – a technique that has always sounded daunting to me but would be quite handy! I love the fact that it has sewing tips in it! Other “modern” books seem to skip the importance of fitting (or maybe it’s just the 20+ books I managed to get? ); this is great! I also love the mix-and-match pieces! I’d love a copy! I think the mix and match aspect is brilliant and as I’m not quite vintage sizing, I like making my own versions of vintage patterns. I’ve got a lot of fabric saved up so this will be a great book to add to my arsenal! Great review! I am so excited for this book to come out. I am getting back into sewing after a bit of a hiatus, and what great timing! The thing I’m most excited about in regards to this book is that it can be used for years and years, swapping out all of the different components to get different looks, and it won’t look like you’ve just made the same dress in every colour of the rainbow. I love the dress you made! So pretty 🙂 I would love to be able to win a copy of this book, I love buying the Butterick Gertie’s patterns! The dress you made is amazing! I absolutely love all of Gertie’s fabrics and patterns! I love the vintage look and it would be fun to sew up different combinations of dresses from this book. I hope I win — I love Gertie. I am a new follower to your blog, and would love this book to help get my creative fires burning again. Cheers! This looks so cute! I spied it on the shelf at Barnes and Noble this weekend and had a peak inside. So pretty! I’m very excited about the mix and match factor. I love creating unique looks so that has me all over it. That v neck bodice has me super excited. I’ve been following your blog for a bit now and you’ve been such an inspiration to me! 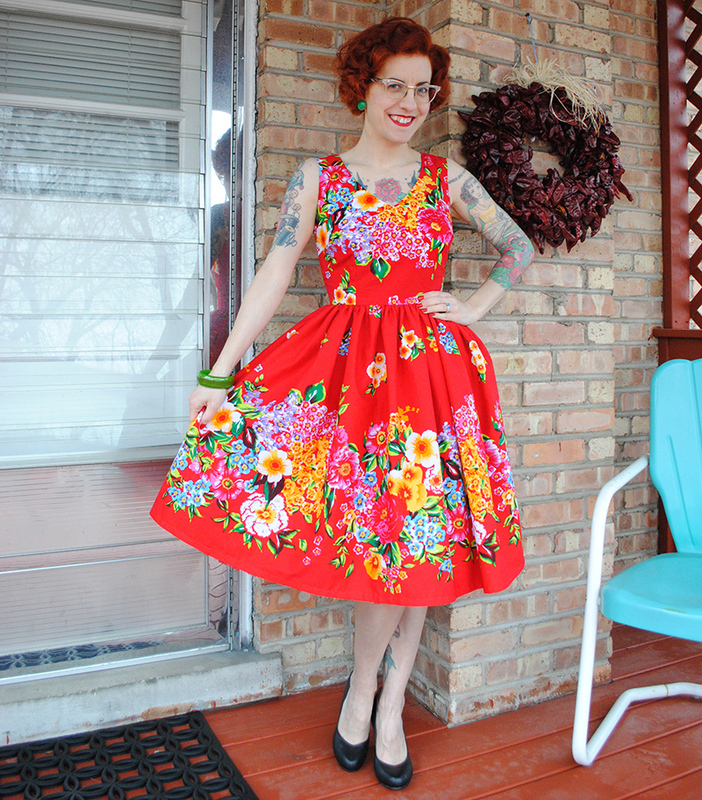 It’s been hard for me to find the perfect vintage dresses that I want and I just love the idea of making my own. A book like this would be a real help to get me started. 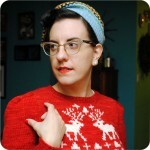 I have lurked Gertie’s blog (and yours) for years and love the vintage wardrobes you both create. 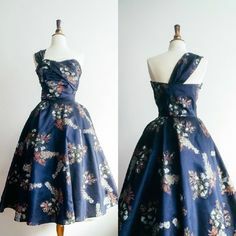 I would love the opportunity to make a few vintage dresses for myself and with a book and fabric I would no longer have any excuses! What I’ve loved about Gertie’s two previous books, and what seems to be true about this one as well, is that Gertie teaches you little bites of pattern drafting. As you modify one collar shape into another you’re quietly learning to overcome the fear of doing it yourself. It sound like this book will be another exciting one from Gertie! 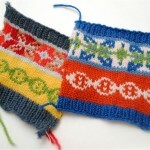 I am SUPER excited about the mix and match pattern options. AND I love that there is very little ease in the pattern pieces. Really looking forward to checking this new book out! Great review and your dress is stunning! I’m so excited for the mix and match tops and bottoms. I love switching things up . Just the idea of having a book full of dresses makes me happy! I have so few dresses right now, I need to step it up! I’m super excited about the idea of being able to adjust a bodice pattern and use it with a bunch of skirts and visa versa. I love dresses and I like that this book isn’t just full of formal patterns. I love vintage inspired styles. Most 20th century styles are so pretty and fun. I am so excited about the newest book in the series as I have enjoyed the other two books so much, but I am especially excited about this one, since dresses are my favourite thing to wear! I mix and match bodice and skirt patterns all the time anyway, so having a book that is purposely mix and match is great! I’m really excited about the mix and match aspect of this book. Hopefully I can use it to step up my sewing game! I would love to get my hands on this!! What gets me most excited is the mix and match aspect. Taking more charge of what kind of dress I want to make. I love a good sewing book that has a lot of vintage fashion. They are hard to find these days.I think I would do well with tips on sewing as well. I pretty much make the same dress over and over (Vogue2960), I change the skirt so it’s not too boring. I am hoping to expand my dress wardrobe. I’m super excited about this book, Gertie! 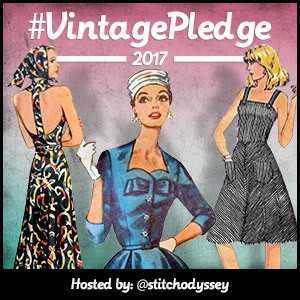 I love to sew, have been sewing for years, and I love vintage. I’m psyched about learning little tidbits and new techniques to make construction easier. This is my idea of a coffee table book that you pore over again and again. Love it! I love you can mix and match the patterns to make all sorts of different dresses. That sounds like so much fun! Im excited to build a new wardrobe! I am really excited about the mix and match options with skirts and bodices – I love dresses so the idea of a whole book dedicated to dresses is super exciting!!! I love Gertie’s vintage style. Her dresses and fabric are beautiful. The retro inspired dress patterns. Like everyone else, I’m excited about the mix-and-match aspect. 🙂 But I’m also intrigued by the fitting chapter–I could use some help with that! What’s not to love about Gertie’s new book?!?! I love that it is spiral bound and thus easy to stay open while I will be sewing. I love the illustrations-so vintage yet fresh!! Most importantly, I like that there is info for beginners and beyond-I fit somewhere in the middle. Thanks for the review, Tasha! BTW-the dress you made from this book is exquisite! I look forward to hearing more about this soon. I have all of the other Gertie books and would love to have this one too. I’m most excited about the mix and match aspect of the patterns! I love all the options! I tend to do these with sewing patterns be it sure would be nice to have multiple options designed to go together. 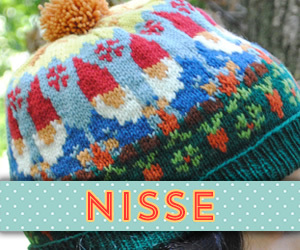 I love that the patterns are mix and match, so you can make exactly what you want! I prefer a sleeve on my dresses, so that especially makes me happy! Thanks for the chance to win! I love the cover dress! And then, more dress designs inside, well that is so awesome. Thanks for the giveaway. Definitely most excited about the mix and match patterns! So fun to hack and make fun things. I’m deaf lady and I would love own this book ! I went three Jo-Ann Stores they don’t have that book and I was so desperate to get this new book! I ❤️ Her ?Retro Styles and they looks so Fabulous ! I wish I own this new book and I would love show off new clothes and her farbics to make my own before April 30th-May 1st because I’m going to Dapper Day Expo at Disneyland.. I hope anyone can win this book and many mores!! Good luck everyone!! I am most excited for the ability to learn the finer points mix and match skills. I have taken a stab at it with mostly okay results but this will help me grow! I’m excited to learn more from her about how to do fancy things with clothing construction. Though I sheepishly admit that the horsehair braid I bought after seeing her use it has still gone unused. Soon, though, I will finish that dress! I’m also excited to use some of her fabrics, but I’ve had a look at Joanns and can’t think what exactly I’d use those specific patterns for. They are gorgeous so, hopefully my brain will decide on something besides fabric hoarding. I’m interested in the mix-and-match options for new dresses, since I Frankentein up most patterns anyway. Excited to check out the book! I love the mix and match aspect to this book. I have Gertie’s other books and I just love the style and layout. I love the way you can mix and match so easily! Gretchen is an experienced sewist so I’m excited to dig into this new book for new tips and hints, as well as the opportunity to mix and match pattern elements. I’m looking to advance my pattern drafting skills and this seems like a logical step. Thanks for the keen giveaway! Thanks for the great review of this book, Tasha! It’s already on my wish list, but even more so now. Mixing and matching to get exactly what you’ve envisioned, plus tips on how to do it sounds like the best thing ever for a dress girl. Yours turned out beautifully! Plus, what glorious fabric! 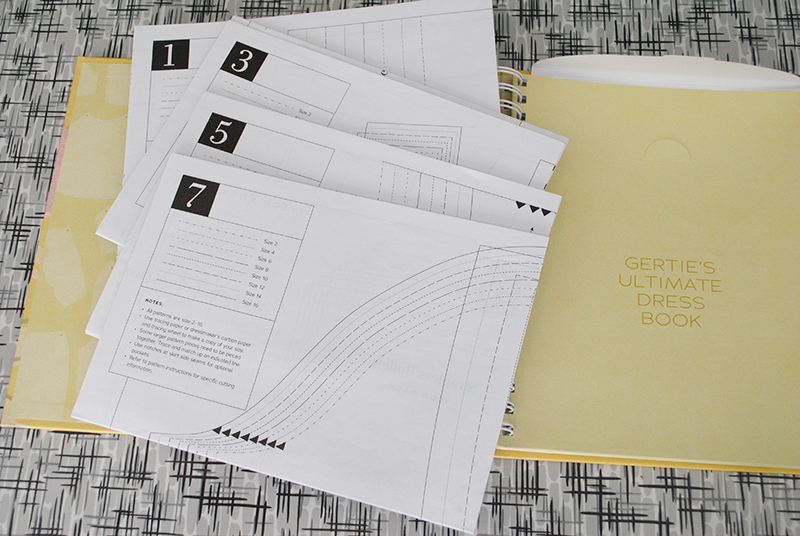 I’m just getting started with sewing and love the idea of a book that will walk me through construction basics AND give me a strong set of mix-and-match options to help me start building a “me-made” wardrobe! Amazing dress as always! I am excited about all the mix and match potential in this book, and I am a huge fan of all her other books so far! I love the dress on the front! I want to wear it to a wedding I have coming up! First off, I love your dress! Beautiful as always!!! I love Gertie’s books and want to see that wedding dress! The fit is always good too, so having a go to dress book would be great. Oh my! I really want to learn more about fitting and I love the idea of mix and match! I would love to have this book. I’m excited for all of the mixable-matchable patterns. So much customization available! Love the idea of mix and match bodices and skirts! I love the mix and match options in the book. 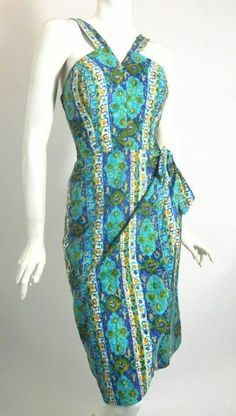 I never want just the dress that is in a pattern, I always want something slightly different. Your dress looks amazing! What gorgeous fabric! Thank you for the contest, the book looks fantastic. I am most excited to make sundresses for beach trips and picnics this summer. I am still new to sewing, so I haven’t experimented hardly at all. So, I love love love the idea of the mix and match. I will still be following something known to work together, but still venturing a bit beyond the norm to get my feet wet. I heard a quote once, “Make great art or be a work of art.” I try and live both. Gertie’s blog is such a source of inspiration for me. I love the idea of creating clothing that is uniquely me and her book is a key piece in that. I’m also very excited to have found this blog! So glorious and inspiring! Thank you! The mix and match tops and bottoms really appeal to me! 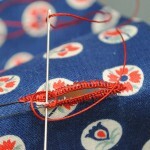 I’m finally getting back to my sewing and your blog is inspirational. Thanks! Mix-and-match? Fit?! Couldn’t be any closer to what I need! Thank you so much! Just love the idea of sewing a bit of frosting as I’ve been in a bit of a cake rut! I’ve been waiting so (almost) patiently for this book to come out! I got my copy yesterday. I can’t wait to see your “guts” on putting this one together, since I haven’t tried sewing with a border yet but there’s one I’ve got my eye on! Or two. Actually two. Every Gertie Pattern I have ever sewn is so well thought out! She actually knows how to sew, and sew well. It makes a difference. This book looks so adorable, I can’t wait to make everything in it! This book looks so great! I started sewing about a year ago and I feel like I need to educate myself more on construction techniques so I can up my game. This book looks like a great way to improve my skills! Gorgeous dress! I love the idea of mix and match tops and skirts. The book looks really lovely. I’m so excited for the mix and match aesthetic of this book!! I love all of Gertie’s books but this mix-and-match concept is amazing! 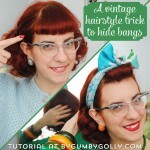 I love Gretchen’s vintage style and this book showcases that! 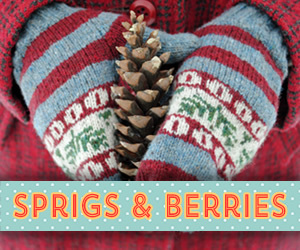 I am most excited about the included patterns that can be used to make your own garments! I like that the tops and bottoms are interchangeable without a lot of tinkering. I feel like it would make me more confident as a sewer to try this without having to do a lot of tinkering to make it work. Super excited about the mix and match patterns. Can’t wait to sew my first garment from the book. I love that there are now two mix-n-match sewing books on the market! And knowing Gertie’s sizing, these shouldn’t take much alteration! If there is an honest to god crinoline pattern then I’m happy. For some reason I just can make one I like. I love to mix and match patterns! although I normally spend a lot of time trying to mash bodices and skirts together that are allllmost but not quite right, which can be really frustrating when things don’t quite work out. A group of patterns that are already meant to be mixed up would be amazing! I’m so excited about her new book. I love that she has such wearable pieces, and her instructions are good for the novice sewer. AND it includes patterns! Squee! This book looks great. This would be a great dress sewing resource. The mix and match! I always think about wanting to try it with other patterns but love that this is set up like that from the start. I would be excited to learn more fitting tips. I’m making one of my first truly fitted dresses and am quickly discovering that there is a lot I don’t know! I guess it’s good to stay humble and keep learning, right? Love your dress, by the way! Thanks for the chance to win!. I’m most excited for the mix-and-match patterns! Lovely! Great giveaway! I just want to learn more and more about dress construction. I’m really interested in two things about the book: The fitting (I’m long torso with small shoulder) and the dress structure section you mentioned. It sounds like it’ll be a great addition to my sewing library. Ah! I want this red fabric so, so much. It’s GORGEOUS. I have always waffled on the Gertie books because I’ve heard mixed things about the fit, so I’m excited to hear your positive review. I’m very new to sewing – lots of skirt, so far, but intimidated by dresses – so I love the idea of having such a useful resource to help me get over the hump! I haven’t made myself a dress since college (which was a long, long time ago). What excites me most about this book is that I think it could provide the inspiration and pattern to get me to make a dress again, something I’ve been thinking about for the last year or two. Oh my goodness! This is amazing! My daughter loves vintage style dresses but we can never find any to fit her. With this book I could make them myself!!! 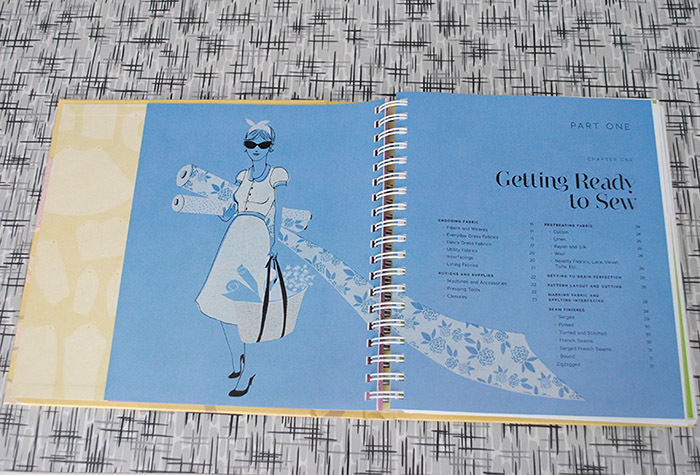 I have Gertie’s New Book for Better Sewing and am thrilled about the dress book–patterns and tips! I love that it has mix and match patterns for so many combinations. I love the vintage style, it’s me. Vintage mix and match. Thanks! The dresses patterns seems to be awesome, with an infinity of combinations. I got the ”Gertie’s sews vintage casual”, because of interesting introduction, the sewing tips and of course the patterns. I’m really interested in getting this book with all the timeless beautiful dresses! Hope to win a copy of the book for my step daughter. I am most excited about all of the mix and match options and the ability to design the dress I want without having to frankenpattern two dress patterns together. Love knowing that the skirts and bodices will work together straight out of the packet! 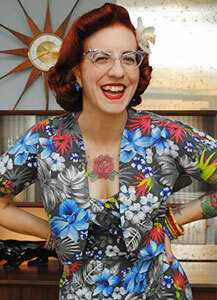 Id love to see what new dresses Gertie has dreamt up for us to sew! I am entering this after seeing your posted red spring dress. What a knockout! Seeing your work makes me realize how many great options there are in this book. I’d love to use it myself. 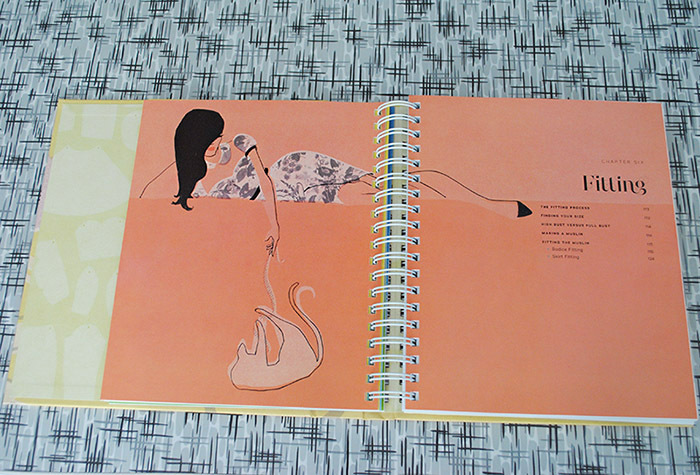 Thanks for the review, especially the pictures showing the sweet vintage illustrations! I would love to have a copy! I really love the mix and match concept for the skirts/bodices. 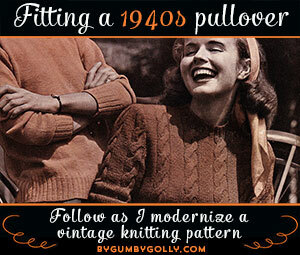 I’ve got gazillions of original vintage patterns, but I like the more modern lines on these patterns. They’re just enough different from everything I have to make me really want it! I love the idea of a mix-and-match pattern collection! I’m rarely satisfied with a pattern as it was drafted, but I also can get into some trouble when I try to redraft on the fly myself, without a dress form, and with no one to help me pin pattern pieces or a muslin to fit my back waist or whatever. Your book review is great! And I love your dress! I just came back from Joann’s with 4 yards of the mint and rose border print from the Gertie Collection, and finally having some patterns to mix and match bodice and skirt, that actually fit together (!!!!) would be really exciting! I’d like to read the section on matching plaids for the secretary dress. I have Gertie’s two other books and I’m SO excited for this new one. I’ve been waiting what feels like forever for her dress book to come out and I’m very pleased with your review. I’m most excited about the Faux Sarong dress! Your dress is wonderful! I love everything “Getie”!!! Thank you for sharing pages and giving us a partial look of what is inside and wetting our appetite for more. I have her first book and look forward to the opportunity of viewing and working with the patterns in this book. I love the fact that you can mix and match to make a dress to your taste. Wonderful review and thanks for sharing your dress with us. What interests me most about this book is the chapter on giving the dress structure. I’m an intermediate seamstress and I want to spend more time working on the foundation of the dresses I make, particularly when they’re strapless. I love that a book on vintage styles offers a section on giving the dress structure. Very helpful. And I love the mix-and-match idea. I have no idea, since I’ve only sewn the one dress and the sizing of the bodice seemed fine! I discussed the fit more thoroughly in the post directly after this one. But given what you said I’ll make a mental note to measure the pieces before starting when I use another bodice (which I typically do before sewing just to make sure I’m in the right ballpark, and did with the v-neck bodice before I sewed it).